A new diversification in consumer preferences and factors fuelling an exponential growth of retail in Pakistan. 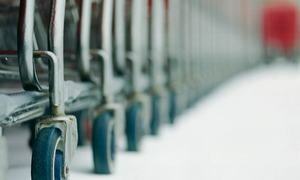 Although still at a nascent stage, internet retail is expected to become a significant complement to brick-and-mortar grocery and non-grocery retailing in the coming years. Dolmen Group’s prior experience had taught them that the only way to convince the big names to come onboard as tenants was to ensure customer traffic. There was a time when every neighbourhood had its kiryana store. Families had fixed monthly grocery lists that were handed over to the shopkeeper, who would put all the items together, bag them and hand over a chit with the billed amount scribbled on it. Apart from the haggling (it was expected), the next customer decision was whether to pay in cash or put the amount on a monthly tab and whether or not to have the groceries delivered. Product choices were limited and the purpose of the ‘shopping’ was to ensure enough rice, flour, sugar, salt, cooking oil, banaspati ghee, masalas and spices to last the month. 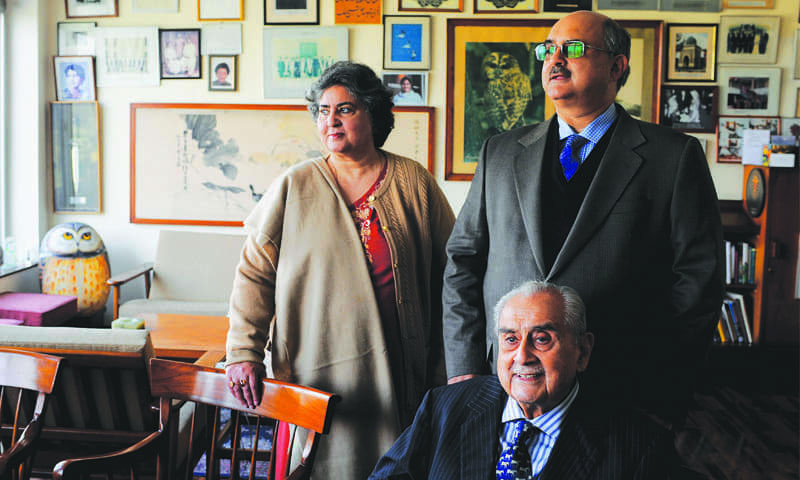 In those days, Naheed and Imtiaz in Bahadurabad and Agha’s, Motta’s and Paradise in Clifton, were among the few retail outlets where customers had the luxury to browse shelves stocked with limited varieties of imported brands and/or local packaged goods. Other than those, shopping excursions were limited to Juma bazaars or visits to Laloo Khait (now Liaquatabad), Empress Market or Jodia Bazaar – the wholesale hubs of Karachi. It was only in the noughties, when due to increased exposure, Pakistani consumers became more aware of what was happening internationally and a significant shift in lifestyles and buying patterns started taking place. Varied product assortments, greater convenience and accessibility, better merchandising, improved service and an enhanced store experience became the new retail rules. Quick to recognise this shift, local retailers began to invest in improving store layouts and their product mix. There was renewed focus on customer service, rather than relying on price competitiveness. As a result, this growing retail potential put Pakistan on the radar of global retailers. According to a study conducted by Standard Chartered Bank last year, between 2011 and 2015, the size of the retail pie in Pakistan jumped from $96 to $133 billion, a 38.5% increase. The current value of Pakistan’s retail sector is estimated at $152 billion, as per Planet Retail (a global retail consultancy). It is the third largest contributor to the economy (after agriculture and industry), accounts for 18% of the total GDP and is the second largest employer (after agriculture) providing jobs to more than 16% of the total labour force. (NB: As most of retail in Pakistan is unorganised, therefore undocumented, industry analysts agree that the on-ground figures are much higher). 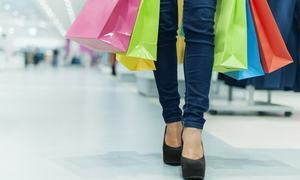 With an annual growth of eight percent, retail sales are expected to cross the $200 million mark by the end of 2018. The main factor fuelling this, apart from increasing urbanisation, is an improving employment-to-population ratio which has led to higher disposable incomes, thereby expanding the middle class and increasing consumer spending manifold (estimated at $293 million in 2017 and projected to cross $333 million by 2018). The other trend disrupting traditional retail is e-commerce. Although still at a nascent stage, internet retail is expected to become a significant complement to brick-and-mortar grocery and non-grocery retailing in the coming years. Dolmen Centre in Tariq Road (established in the nineties), was the first vertical shopping complex in Pakistan built on a multiple floor layout. Before that the concept of indoor air-conditioned shopping areas was alien in Pakistan. If people wanted branded products, Zainab Market or Panorama and Rex Centres were the go-to places. However, the mall did not turn out the way it had been envisioned. There were not enough local brands because many did not want to assume the high rents Dolmen Centre demanded. It was almost a decade later that Pakistan had its first shopping mall, when Park Towers opened in Karachi. The mall morphed into a social venue, where people went to enjoy the amenities rather than to buy. The opening of Dolmen Mall Tariq Road in 2002 proved to be a game changer. Dolmen Group’s prior experience had taught them that the only way to convince the big names to come onboard as tenants was to ensure customer traffic. The two strategic decisions that paid off were the establishment of Sindbad’s Wonderland and a food court. Positioned as a family recreational spot, the mall began to bustle with activity convincing retailers to invest in space. Over the next 15 years, a number of malls were established (mostly in Karachi), redefining the shopping experience. The entry of Hyperstar in 2012 (operated by the Carrefour retail chain) as an anchor tenant at Dolmen Mall Clifton was another game changer. Hyperstar became a retail success, prompting other mall operators to adopt the idea of having anchor tenants. North Pakistan is now at the forefront of the retail race and several multipurpose malls are under construction in Bahawalpur, Faisalabad, Gujranwala, Islamabad, Lahore, Multan and Rawalpindi. This shift in consumer shopping preferences, from a ‘product-price focus’ to an ‘assortment-experience’ focus, did not go unnoticed by local grocery retailers, such as Naheed and Imtiaz supermarkets, which underwent a 360-degree remodelling and transformation after 2008, by adopting a multi-level department store format. Both supermarkets began as small kiryana shops in Bahadurabad. 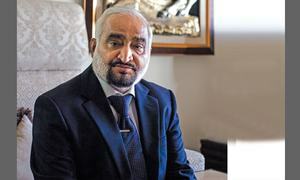 While Imtiaz’s strength remained budget grocery offerings, such as flour and masalas, Naheed differentiated itself by introducing imported brands. Naheed expanded its footprint from the original 1,100 square feet of retail space to a 32,000 square feet, four-level departmental setup. Imtiaz followed and established outlets in DHA, Gulshan-e-Iqbal and Nazimabad, three of the most densely populated neighbourhoods in Karachi.